Genova Burns has bolstered its team of real estate and land use attorneys, hiring a former deputy state attorney general as an associate in its Newark office. The firm, which is based in the city, announced the addition of Nicholas L. DePaolo as a member of the commercial real estate and redevelopment and land use and approvals practice groups. He joins Genova Burns from the Office of the Attorney General in Trenton, where he served as counsel to the Fort Monmouth Economic Revitalization Authority, the Department of Property Management and Construction and the Economic Development Authority, among other commissions and boards. 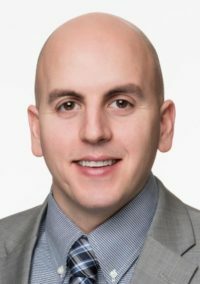 DePaolo has experience in drafting, reviewing and negotiating contracts, agreements, leases and other legal documents dealing with property and real estate matters, the firm said in a news release. He has also clerked for state Superior Court Judge James W. Palmer, having received his law degree from Rutgers University School of Law and a bachelor’s from Stockton University.